The only independent accredited macadamia quality testing laboratory in Australia. Our team of three kernel assessors have a combined industry experience of over 60 years. With a proven service that is accurate and reliable with a seven day turn around for results. ​Our quality assessment laboratory services the whole macadamia industry from Central Queensland to Northern NSW, with our clients including farmers, processors and Macadamia nut exporters. 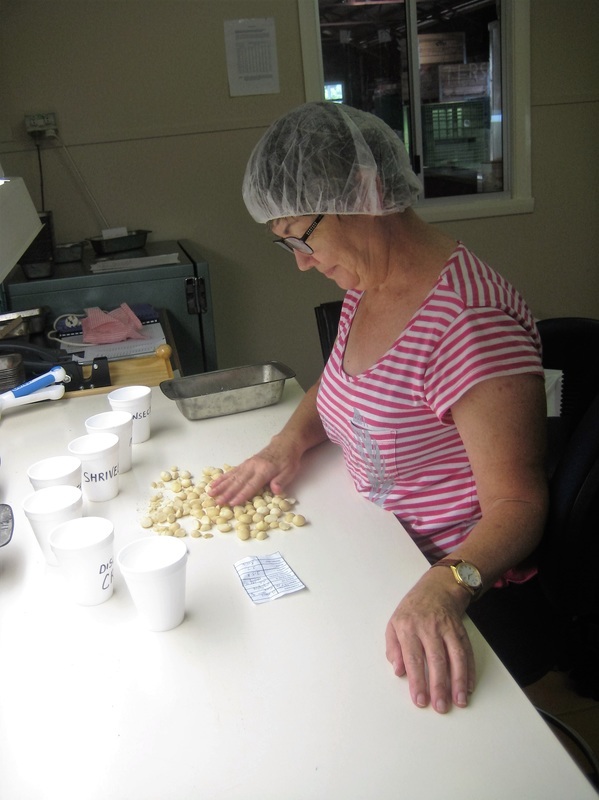 Based in NSW, Kim Jones leads Cropwatch Independent Laboratories and is a world recognised expert in macadamias, with over 20 years experience in all aspects of production; from nursery to processing and marketing. Kim has been invited to speak at international conferences in Australia, Hawaii, Brazil, South Africa, PNG, Vanuatu and Vietnam. Cropwatch Independent Laboratories has no affiliation with any macadamia processor or NIS buyers and is your truly independent quality assessor with a proven service delivery and comprehensive consultancy available to macadamia producers and processors.